Don’t Miss Explosions in the Sky | TONIGHT @ The Ryman! Formed over 15 years ago in Austin, Texas, experimental rockers Explosions in the Sky are one of the premiere instrumental acts making music today. Frequently placed in film and TV, the band have released seven albums (and scored multiple soundtracks) since 2000, most recently last year’s The Wilderness. Though frequently labeled post-rock, their sound is more reeled in than some of their more dissonant and experimental peers in the instrumental rock realm, drawing more from pop, traditional rock, and even folk and shoegaze. Famed for their ferocious and energized live show, the band have toured with legends like Fugazi and Nine Inch Nails, often swept up by the alt rock and punk community but able to crossover and reach a wide range of audiences. Combining a hypnotic, layered, and elaborate sound and sonic knack for storytelling through musicianship with a visually stunning live show, EITS are a group best experienced live to fully approach the wide-reaching, nuanced, and immaculately crafted nature of their sound. In support of The Wilderness, their first album to utilize the help of an outside co-producer (John Congleton) and something of an exploration of various types of space (“outer space, mental space, physical geography of space”), the Explosions in the Sky return to The Ryman tonight, April 16, their first Nashville show in five years, to bring to life their sweeping, ambitious new material and old favorites. Tickets are still available, so no matter your religious leanings, we know one church where your Easter should end. Don’t miss it! 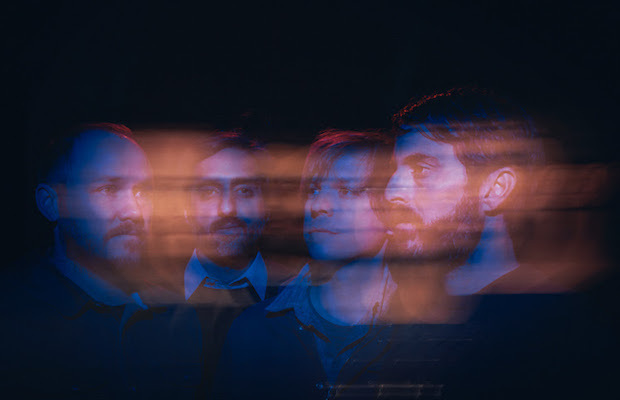 Explosions in the Sky will perform tonight, April 16 at The Ryman. The show is all ages, begins at 7:30 p.m. (doors at 6:30 p.m.), and tickets are available to purcahse for $35-45.